When I finally decided to embrace the bold lip trend, the first lipstick that came to my mind was (of course) Ilia Beauty in Femme Fatale. A gorgeous brick red, which seemed to require just a little less bravery than its brighter sibling, Ilia Beauty in Wild Child. Consistency: The consistency is very creamy. On very cold days I wore a thin layer of lip balm underneath for extra comfort, but lately, (and in these pictures I published) I have not used any balm. The lipstick has been gliding on my lips just as smoothly, as if it was a tinted lip conditioner. 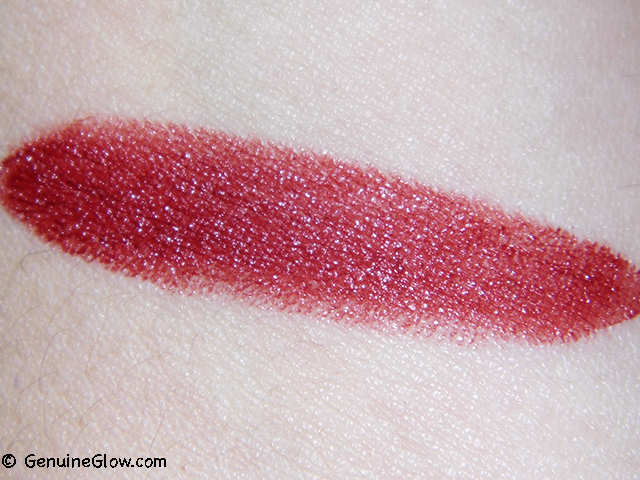 It is extremely comfortable and moisturizing, and it does not settle into lip lines, even after a few hours. Color: This is a vibrant, medium-dark red. 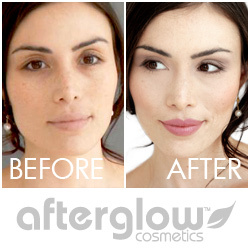 It is nicely pigmented and requires only one coat to give full coverage. It also gives a nice sheen. Application: My favorite way to apply it is with a lip brush, and my absolute favorite lip brush is Cargo number 17, which has a square tip (review coming soon!) It helps me to apply the product more evenly. I do sometimes apply it straight from the bullet if I want to wear it as a stain. I just dab the lipstick on my lips, and then with a finger pat my lips until I have the amount of color I want. Packaging: Classic sleek Ilia tube, which I love! 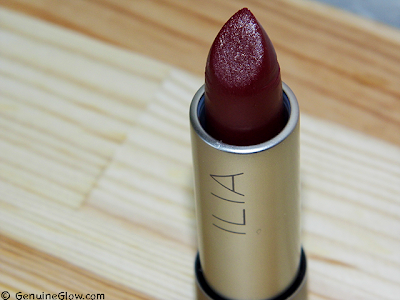 Final Thoughts: I actually enjoyed the Ilia Beauty lipstick texture even more than my beloved tinted lip conditioners. I expected it to be more matte, while it actually gives a slightly juicy finish to my lips. Lovely pigmentation, beautiful color, extra-moisturizing. I will definitely purchase more shades!